Worldwide sales at Amazon, announced today, soared by 43% in the first quarter of 2018 to $51 billion, with profits rising to $1.6 billion. It is a far cry from the business launched by Jeff Bezos in 1995 as a book-selling website. 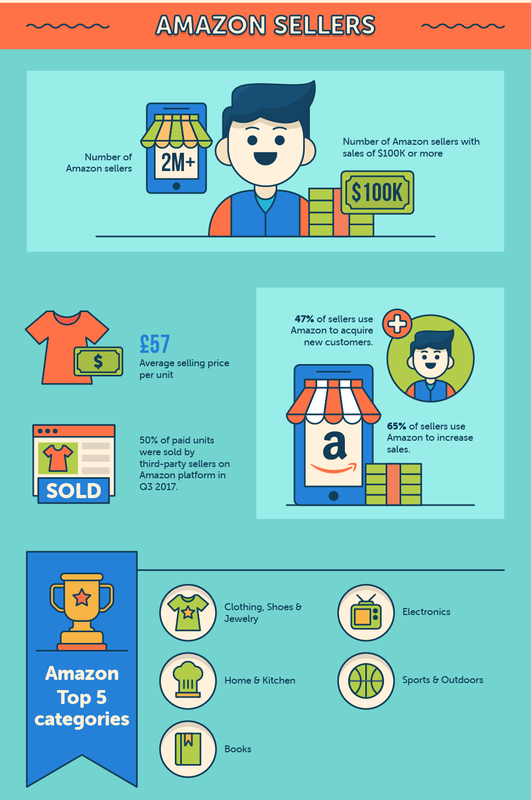 How has Amazon advanced to become one of the most valuable businesses and formidable retailer in the world? 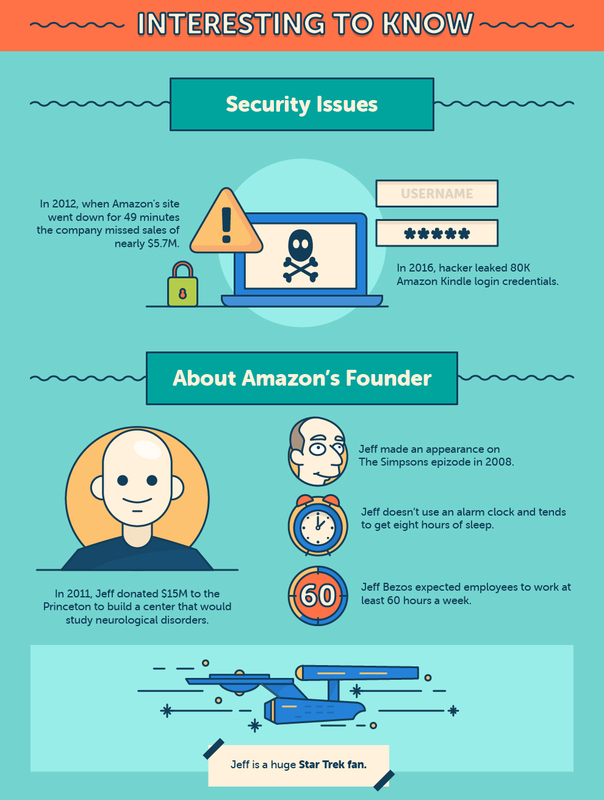 Infographic specialist websitebuilder.org walks us through the history and key achievements. Amazon started operations back in 1995. In those days, its founder, Jeff Bezos, was simply beginning with a site that sold books. Yet, he already had a vision for the organization’s amazing development and rise to the top of internet retail. Indeed, from the very first moment, Bezos realized that he needed to make Amazon ‘an everything store’. But the beginnings were humble, as he started the company from his very own garage. The servers he was utilizing required so much power that he and his wife couldn’t run a hair dryer or a vacuum without blowing a wire in the house. In the beginning of its operations, a chime would ring in its office each time somebody made a buy. At that point, everybody would rapidly accumulate around to check whether they knew the client. Luckily, the number of sales made the chime last just 14 days before the ringing became frequent enough to turn it off. Bezos initially intended to name his organisation ‘Cadabra’, a play on the word ‘Abracadabra’. Notwithstanding, Todd Tarbert, Amazon’s first legal advisor, persuaded Bezos that the name sounded too much like ‘cadaver’, which was not a decent name for a bookstore. The founder eventually settled on the name ‘Amazon’ in light of the fact that the site postings in search engines in those days were ordered alphabetically, and having a site with the primary letter of the alphabet would mean standing higher on those postings. 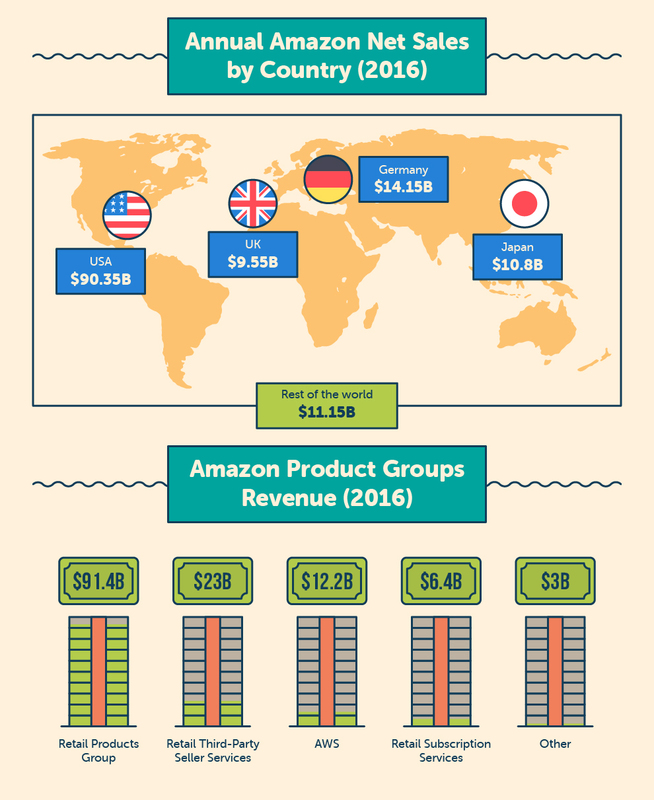 Since Amazon has gone from strength to strength, expanding across all continents and developing numerous quality, innovative products. Amazon has invested millions in new businesses that will make voice controlled applications for its intelligent assistant Alexa, giving it a huge number of new aptitudes. Amazon likewise opened many new fulfilment centres, and made its first drone delivery in the UK. At the point when the Fire Phone flared out, the Amazon Echo smart speaker came in. The most recent variant of Amazon’s streaming service, Amazon Music Unlimited, was developed over its underlying music store, Amazon MP3, which opened ten years ago. Indeed, even Amazon Studio’s Emmy Award-winning unique shows are altogether based upon a crowdsourcing stage that the organization initially presented in 2010 for yearning scriptwriters. The organisation’s own fashion business is currently the second biggest retailer in the United States. It has developed from brand experiments with outdoor furniture, home merchandise, electronic accessories and diapers, and even perishables like natural espresso. 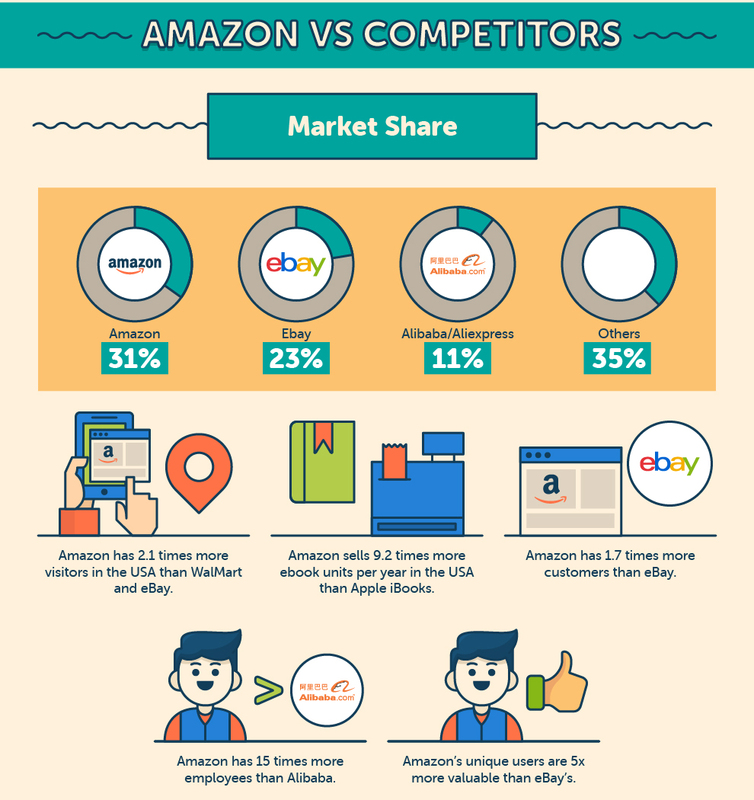 What’s more, Amazon isn’t centred around a firmly composed ecosystem of interlocking applications and services like other giants such as Apple, Google and Microsoft. Instead, it underscores platforms that each serve its clients in the most ideal and speediest way. 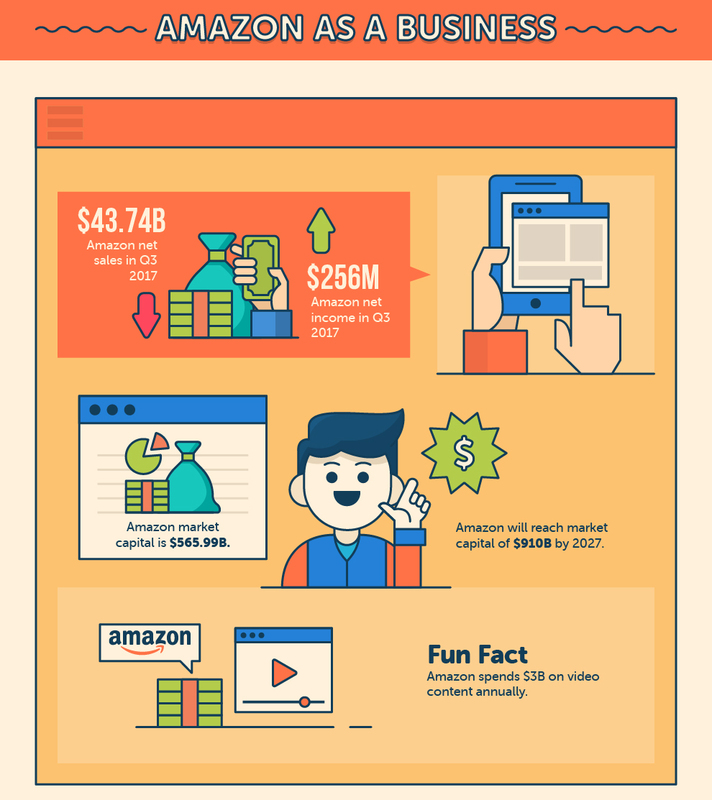 Just several years ago, ‘Prime Video’ actually became accessible in over 200 nations – after the November introduction of The Grand Tour, Amazon’s most watched premier ever. Indeed, even Twitch, the streaming video game network that Amazon procured in 2014, disclosed its initial three unique titles from its recently framed studios. Amazon is fixated on fulfilling its clients’ needs not just by offering them great sales, but by always putting resources into new, special innovations. 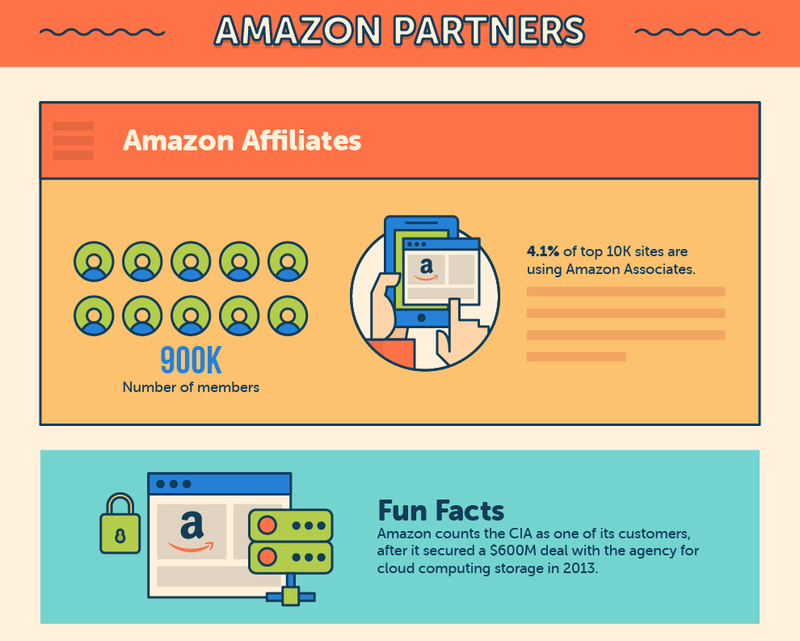 Unlike all other web based business organizations, Amazon will immediately exchange any short term benefits for the opportunity to enhance the client’s long term devotion and loyalty. The organization does this in spite of how much cash this philosophy costs temporarily. It does this in spite of being a public company, with impatient investors who, for the most part, demand that the company should increase the profits with each passing quarter. But it was all the way back in the good ‘ol days, that Amazon’s sense of duty to its clients was what set them apart from its competitors. Furthermore, this dedication persists right up until today. Amazon also has the Alexa Fund. It gives up to $100 million in investment, fueling the advancement of voice technology. Amazon states that all interactions fulfilled around the human voice will, on a very basic level, enhance the way individuals utilize this type of innovation. The Alexa Fund is essentially centered around how voice innovation can enhance clients’ lives. The areas that are specifically compelling are equipment items for inside and outside the home or on-the-go that would benefit from the Alexa Voice Service. Since the introduction of Alexa enabled gadgets such as the Amazon Echo, the organization has always been hearing pitches from engineers, device makers, and organizations of all sizes that want to innovate with Alexa. There are plenty of new skills that can be delivered to any of the Alexa-enabled devices through the Alexa Skills Kit. These new contributions belong to the science behind voice technology, including text to speech, natural language understanding, automatic speech recognition, artificial intelligence and hardware component design. 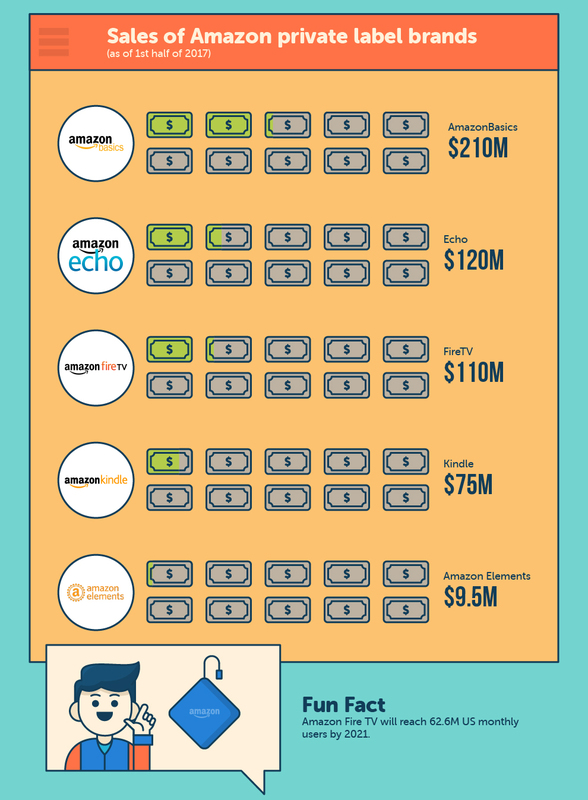 Amazon’s both top and bottom line made significantly more profit than it was expected. The organization announced $2 billion in benefit, which was record breaking. The stock’s fans and supporters cheered this bit of news, and a liberal tax rate overhaul sets the stage for more unfathomable development going ahead. The main engine of this growth has been Amazon Prime. Clients who pay $99 a year for a Prime account can look for anything from Ben and Jerry’s frozen yogurt to a last minute birthday presents with practically instant delivery. It has huge warehouses and many employees in order to get everything pressed, sent, and delivered on time, without fail, every single time. It went from a straightforward online book shop, whose first offer was Fluid Concepts and Creative Analogies by Douglas Hofstadter, to a monstrous web based shopping platform that is spreading to every single market and assuming control over the online retail world. 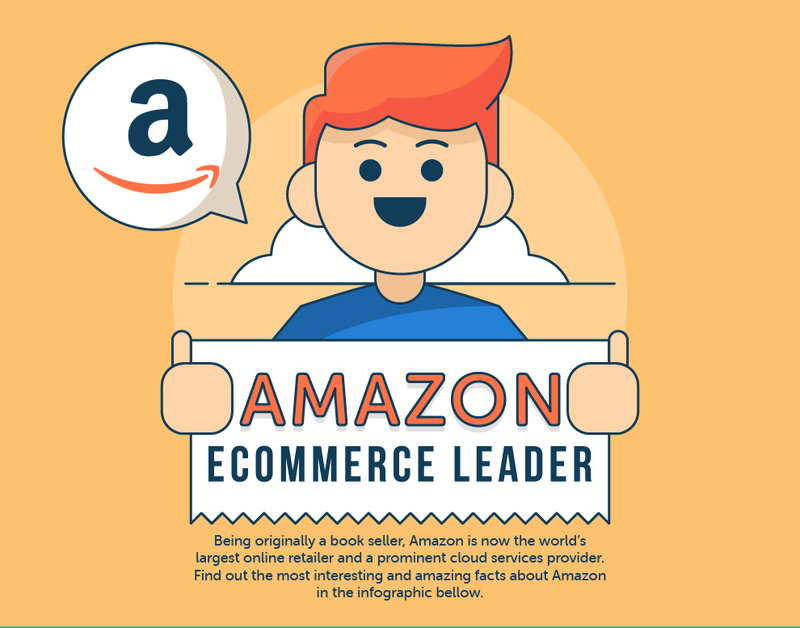 Amazon had a humble and an extremely niche starting point, however it has extended to be one of the greatest and most popular companies around the globe. It has a growing presence in many nations and has situated itself to be a noteworthy worldwide organization. 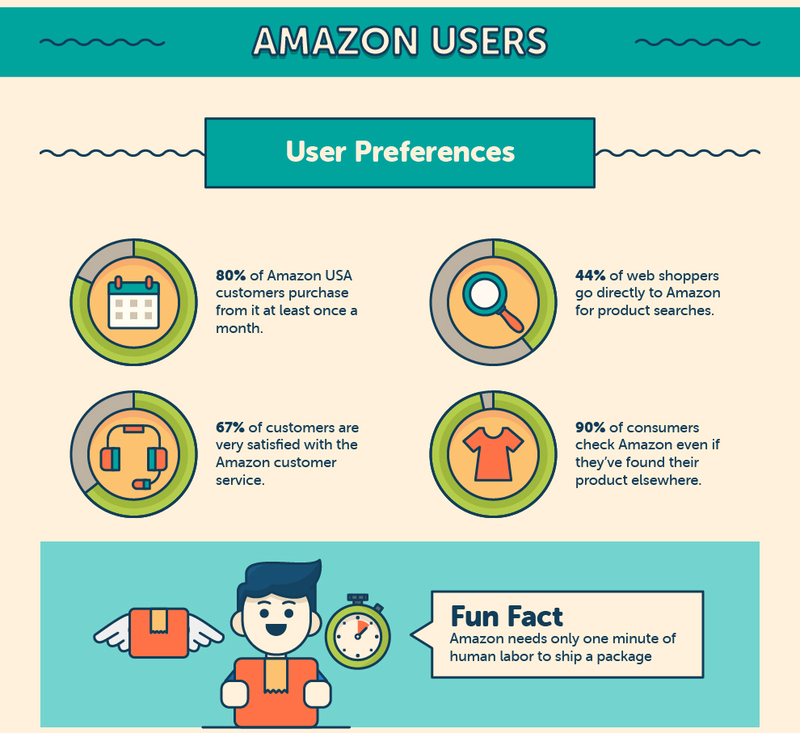 With its advances in item offerings, unique items, and delivery services, Amazon demonstrates the possibility to keep on growing on a phenomenal scale.